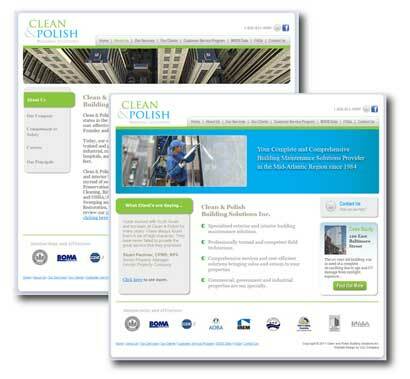 Clean & Polish Building Solutions, Inc.
Website Graphics, Logo & Printed Materials by Alev. 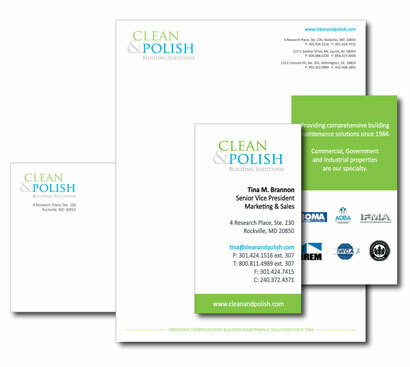 Clean & Polish Inc. is the mid-Atlantic region's preeminent leader in exterior and interior building solutions for since 1984. Offering cleaning, restoration and repair services for commercial, government and industrial properties. New website design and development, branding, logo, positioning statement, social media marketing, copy writing, complete stationary suite, and trade show booth. Ongoing marketing, graphic design and webmaster services.